Traveling along the Carolina coast is an adventure in itself, but you can enhance the experience by stopping along the way at the South Carolina Lowcountry Visitors Center and Museum. Located just off Interstate 95 at Exit 33, where it meets tree-lined Highway 17, the center is in the historic Frampton House, rebuilt after the Civil War in 1868. The Visitors Center and Museum, free and open to the public every day, occupy the building�s first floor. Visitors can appreciate firsthand the front room of a re-created plantation house parlor, complete with antique furnishings. The original Frampton House and farm were burned by General William T. Sherman�s Union troops in 1865. Behind the building, visitors can stand atop Civil War berms erected by General Robert E. Lee�s Confederate troops, who were defending the important railroad supply line from Savannah to Charleston. Display cases feature artifacts left behind by Lee�s soldiers and from the 10 museums located in Beaufort, Colleton, Hampton and Jasper counties. According to the Lowcountry Resort & Islands Tourism Commission, established in 1991, there is much more to see along the Carolina coast besides the Visitors Center. Hilton Head Island is known internationally as a world-class destination, while Beaufort provides a glimpse of Lowcountry life and history. Nearby Port Royal boasts the Parris Island Marine Recruit Depot. 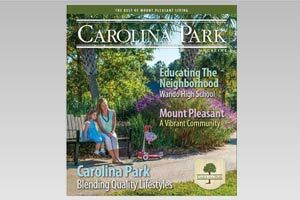 Walterboro is home to the South Carolina Artisans Center and Edisto Beach, which hosts one of five state parks in the area, is the perfect locale for a quiet, family beach vacation. 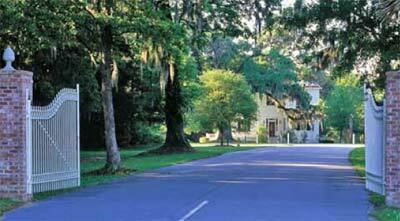 Bluffton is quaint and historic but with an eccentric twist. Hunting Island is a popular state park near Beaufort. Once a layover location for sailors and pirates such as Blackbeard, it is now a public beach, campground and nesting ground for endangered Loggerhead turtles. The 5,000-acre park hosts more than a million human visitors a year as well. It also is home to the only historic lighthouse in South Carolina open to the public. Golf, kayaking, freshwater and saltwater fishing, museums and art galleries, camping, African-American Gullah culture, garden tours, dining and shopping are all a part of the South Carolina Lowcountry. To learn more or to receive a free guidebook, visit the Lowcountry & Resort Islands Tourism Commission online at http://SouthCarolinaLowcountry.com, call (800) 528-6870 or drop by the Visitors Center at Exit 33, just off Interstate 95.